When I first started my Avon business eleven years ago, I absolutely did not know what to expect. 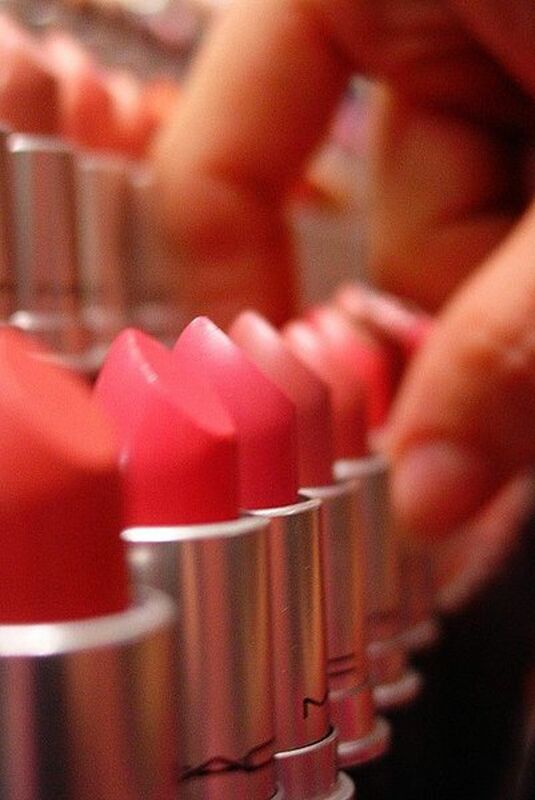 I knew I had previous sales and marketing experience but selling cosmetics was totally new to me. Having a back ground as a cosmetologist was a plus and I new that I could sell the products to my hair clients but trying to sell anything has its challenges. Because Avon is a company that is over one hundred and twenty five years old, the products pretty much sell themself yet I was still faced with learning a whole new system that I knew nothing about. Avon is a great company to work for. I started my career with only ten dollars and this included everything that I needed to get started. Today however the cost to start selling Avon is twenty-five dollars with two other options of purchasing larger sales kits. I received brochures, product samples, a money collection envelope, a receipt book, an order form, bags to put orders in, and books to help me learn this new system. All these years later, I still love the company and speak highly of the company that I love so much! They offer a great support system that walks a person through every step of the way. There are many opportunities to advance within the company and earnings are unlimited. I would love to share more of the wonderful benefits of How to Become a Successful Avon Lady. The old saying that nothing worth having in life is easy is true. If at first you do not see the money that you feel you need to stay active in the business, give it some time. In fact, most businesses take six months to a year or more of being consistent to see huge results. Starting a new business takes learning what marketing techniques work best for you. When I started my career as a beauty adviser I was determined to make it work no matter how hard it was. Taking orders is relatively easy to do. 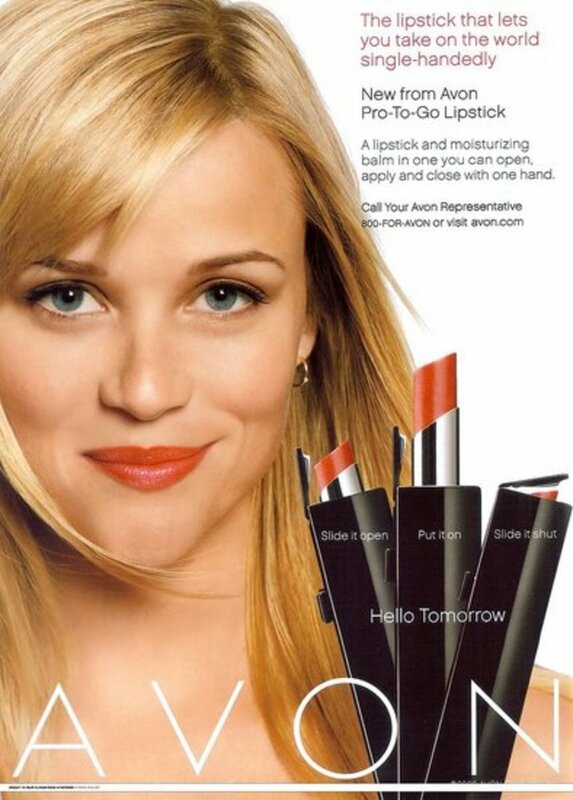 Clients have the option or purchasing Avon from the free website given to Avon representatives or by direct order. Clients can call the representative after they look through a brochure. Order forms that are free to representatives can be included inside each brochure. Order forms make taking orders easier. A representative that works in an office setting can collect order forms and use them to place orders. I suggest that representatives look over the order forms before collecting them to make sure that no information is missing. When a person calls to place an order, the representative should confirm the order to make sure that the order is correct. Ask them what campaign they wish to place an order in, and have a brochure handy especially when small orders are placed. This way you can flip through the book as they are placing their order to make sure they are placing their order correctly. Large orders can be checked later. If you notice that they did not place their order correctly you can always call that person back as soon as you notice that they gave you wrong information. For this reason, representatives should always ask the person their name and number before actually taking their order. Your personal website is a great way to market your Avon business. When clients create their account, they are required to sign-up with their email address. You can send them Avon birthday cards, sales alerts, and notify them of any promotions or coupon codes that Avon will be offering. Representatives can also create client profiles within their back office. The profiles allow representatives to record previous products that clients ordered so that when they are on sale, they can be sent alerts. Avon representatives can also benefit from using email marketing by notifying clients about any changes or special updates. Marketing any business by using an email system is a new effective way of promoting a business. Avon representatives live by the saying that "your brochure is your store". Whether you are using your ebrochure within your website or the paper brochure, the more people have this information on hand, the more clients representatives will gain. Passing out very few brochures will not earn representatives much money at all. I am known to pass out at least a case or more of brochures at a time. I suggest you use both email marketing and paper brochure hand-outs to grow an Avon business. Try passing out brochures everywhere you go. Keep them with you at all times. If you're in the grocery store pass out three before you leave the store. How about leaving a few in break rooms, laundry mats, on top of gas pumps, at the doctors office, and anywhere you think its alright to leave them. Are you someone that is pretty good at writing. 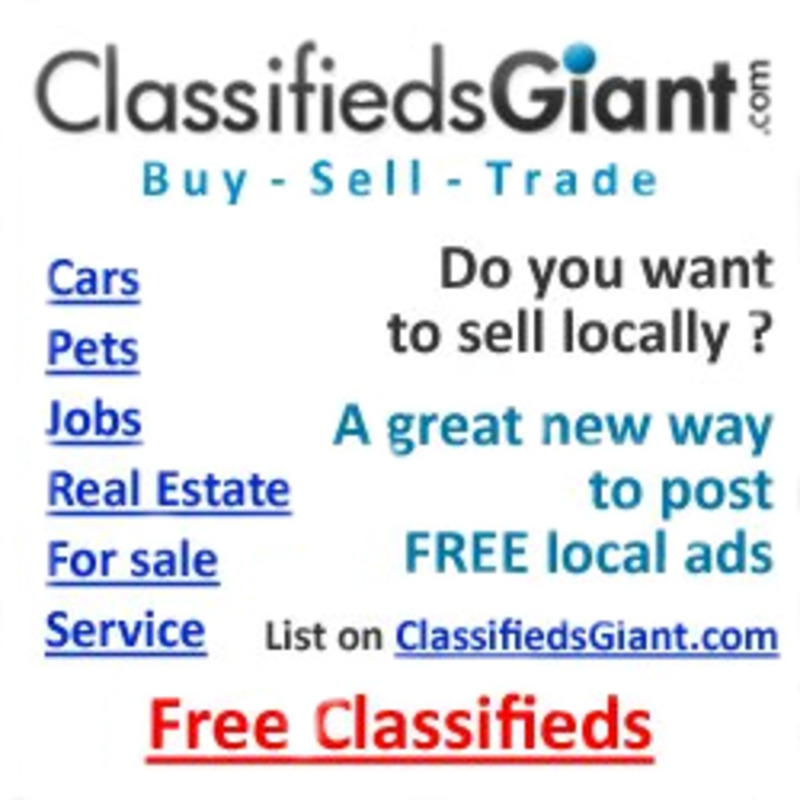 You can create a free blog at blogger.com and blog about products that you sell. Take some time to find out how to write product reviews. Product reviews give people insight on products that they are curious about or products that they have never seen before. Even if you are new to blogging and writing you can be successful at this. Make sure that you are honest and write reviews on products that you have actually used. Use every opportunity to sell. A few years ago my family and I were at a family reunion at a park and I used this as an opportunity to sell products. I simply packed a box of products and brochures and placed them on a small folding table and waited to see what I new would happen. That day I sold products and received a few new clients. I have moved past the shy person that I was in the beginning of my business. If you are afraid of sales then this is not the business for you. Avon really does not feel like selling to me because I am not a pushy person. I simply pass out brochures and if a person wants products, they will place an order. I don't wait for people to ask me for products, I keep them in my car at all times along with brochures. My car has an Avon sign on the side of it and the sign really does work. Avon is not like Mark Kay in the since that representative do facials to market the business but this is another option. This is where samples come in handy. As a rule I do not give samples to people that have not placed any orders with me because most of the time they want the free samples but they never seem to place an order. Samples are not free for consultants. In fact all of the materials that representative use will be purchased by the business owner but can be written off on taxes as business expenses. Their are business expenses with any business but Avon is still a profitable business. When a beauty consultation is done with a potential client, it is vital that the representative listens to what that persons needs and wants. Once the representative hears what a person is interested in the representative should automatically know how to handle that persons needs. A huge piece of advice I can give to representatives is to look through your brochure and memorize it as best as you can. Learn about what products Avon offers so that when you're doing a consultation, you will know which products to recommend. Using the products yourself will give the best insight on what products are best for clients. You can record what was talked about in your consultation on paper or on your personal website. Recruiting other people to join Avon is a great way to earn money. The representative can refer people to the opportunity and earn money from their sales. The great thing about this is that leadership representatives can earn money from the generations under them. As a leadership representative, encouraging a downline to make the most of their new business helps them in the long run. Avon offers tools on the representative website that will help them to grow and monitor their downline. There are representatives that have a downline but they never offer them support or extra training and tips outside of the company. This is not a good idea because when a leadership's team is successful, they are successful too. For an entire team to be successful the leadership representative should reach a certain amount in sales along with the downline members. Avon is a great way to earn residual income by starting and growing serious team members. As a rule, most of the time I do not deliver products outside of my area because of the cost of gas mileage. If I happen to ever deliver products outside of my area, I will charge a delivery fee. Most of my clients are online customers or people in an office setting. This way when I deliver to clients, I deliver to several clients at a time. When I meet new clients and they want products delivered, I will never deliver to their place of residence because of safety issues but if you're someone that knows your area well then this should not pose as a problem. I usually meet them inside of a well lit place like a McDonalds, grocery store, or a Walmart. Occassionally there will be processing issues but Avon is dynamic with customer service. This is not something that happens often, but if it should, providing quality service is a plus. If a client pays for an order and certain products are unavailable within that particular campaign, give the client the option to order something else or simply refund them their money. Never argue with a client as Avon offers a satisfaction guarantee. 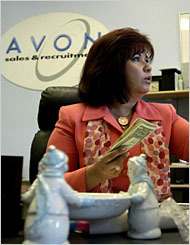 If an order is receiveded from Avon that the representative did not order, simply return it to Avon. They will be glad to credit any amount that may have been charged to your account. Returns can be handled from the Avon representative website.To ensure that orders are correct and processed properly, double check your clients order and compare their order to the invoice. Once you pack your orders, check them at least twice to make sure that they are correct. Staring an Avon business has many rewards however there can be challenges especially if a person is new to the business. If anyone is new to the business and is faced with certain challenges they should not hesitate to contact Avon or the person that they are working under. Nothing achievable happens over night but if a person is consistent and sticks with it as I did, the rewards are great. The Avon business should be represented by practicing business ethics and being an example that new recruits will want to follow. Beauty consultants not only practice good work ethics but they look the part as well. The best way to sell Avon is to wear and use the products so that when a person ask where you got that nice watch or pair of shoes, you can simply hand them a brochure with an Avon smile.